Does Credit Card Technology Really Prevent Fraud? While nations like the U.S. were surprisingly slow at adopting EMV chip credit cards, they’re now beginning to feel the same benefits as a host of other countries across the globe. This technology has certainly proved effective at preventing in-store instances of fraud, with the rate of counterfeit card dollars spent at merchants declining by 76% in the two years ending December 2017. There are now more than 7.1 billion EMV-enabled cards in circulation across the globe, and there’s no doubt that this technology has achieved many of the objectives outlined for it. But does it prevent fraud online too, and if not how can the technology be developed in the future. 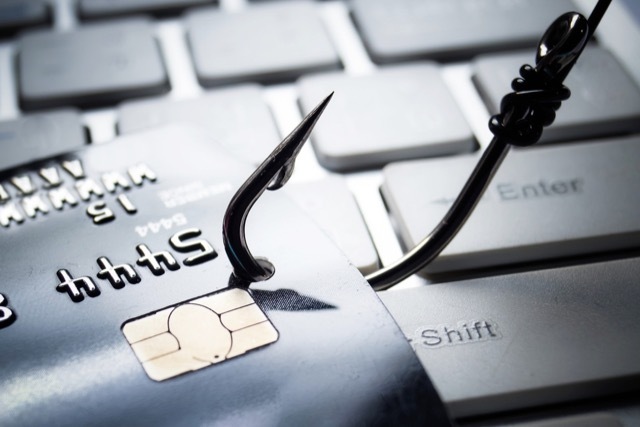 1 Can EMV Technology Prevent Online Fraud? Can EMV Technology Prevent Online Fraud? One of the primary benefits of EMV technology is that its credit cards are extremely hard to duplicate, making it almost impossible for fraudsters to clone products and use these successfully in store. However, this is simply encouraging them to hone their skills in pure identity theft, with this type of specialist fraud prevalent online and having increased by 8% in 2017 alone. We’re also poised to see a significant rise in card-not-present (CNP) fraud, which occurs online when cyber thieves only need to present a credit card number, expiration date and Card Verification (CCV) to complete a purchase. This process is applied to everything from a debit card to an Ocean Finance credit card, and at present EMV technology is woefully ill-equipped to protect against this. Fortunately, technology is a fluid concept, and one that’s continually evolving to meet social and economic challenges. But can EMV be developed further to combat online fraud, or will innovators need to identify an alternative solution? The answer is probably the latter, with biometric authentication currently being developed by a number of financial firms. Last year, Mastercard actually started testing a card with this technology embedded, with a small biometric scanner located in the right-hand corner. To complete a transaction, customers simply place their finger over this scanner to verify their identity, using a stored template as reference. Similarly, Gemalto has also announced that the Bank of Cypress had selected it to supply the world’s first EMV biometric dual-interface payment card. This will include both chip and contactless payment capabilities, while customers will have to register their fingerprint at their local bank branch before using it. This would provide a far greater challenge for fraudsters, while providing the next frontier in online security. The key thing to remember here is that card technology must keep pace with the challenges posed by fraudsters, which can be difficult given the sheer pace of technological advancement. What are the Latest Trends in Business Analytics?